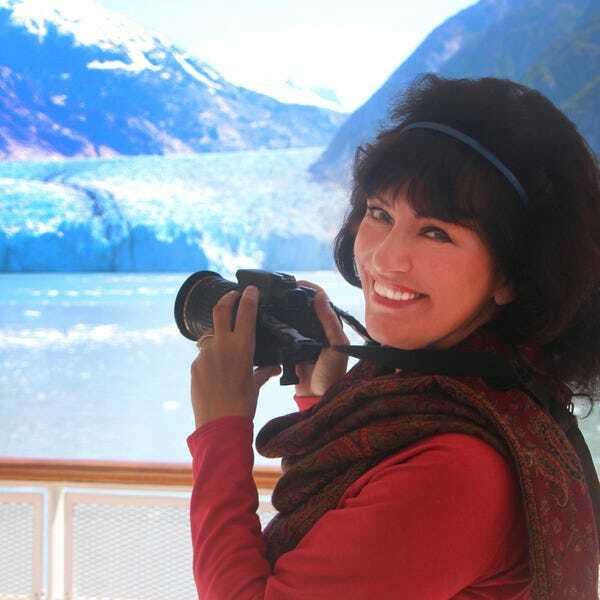 If sailing into the Nordic midnight sun, past landscapes of unparalleled beauty, is an adventure that appeals to the wanderlust in you, you might consider booking an award-winning cruise for your next vacation. 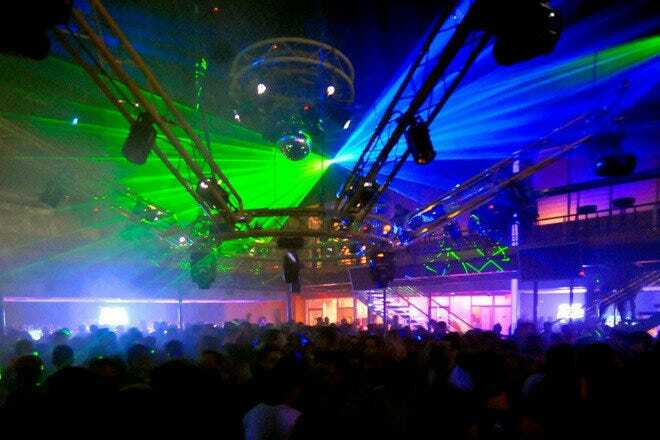 The cruise originates in the picturesque town of Bergen, Norway, an ancient city with deep Viking roots. The city is nestled between towering mountains and one of Europe's largest glaciers. 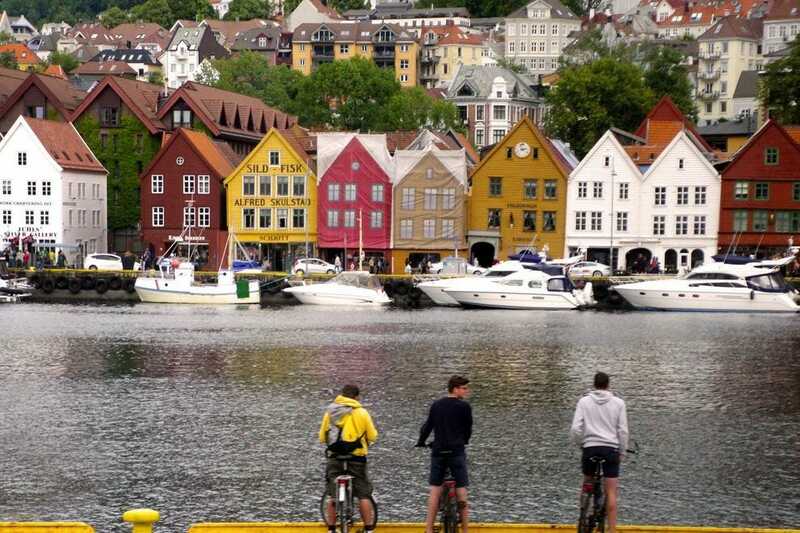 Stroll along the Bryggen wharf and admire the colorful wooden houses that line the waterfront, considered one of the town's most iconic landmarks. 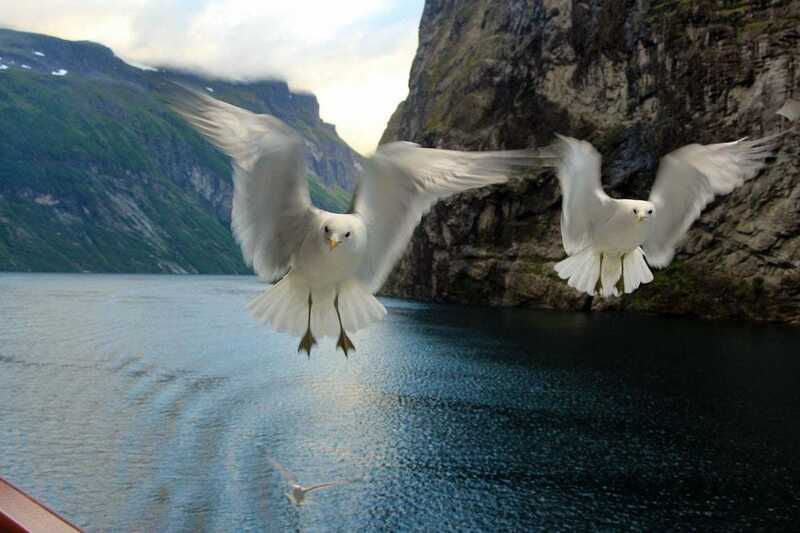 Imagine waking up on your first day at sea to find yourself in the middle of a spectacular fjord, with curious seagulls paying you a visit right from your veranda. As you sail down the Geirangerfjord, a UNESCO World Heritage site, you'll marvel at the rugged mountain peaks towering above you and feel the mist from numerous waterfalls cascading down the cliffs into the aquamarine waters of the fjord. 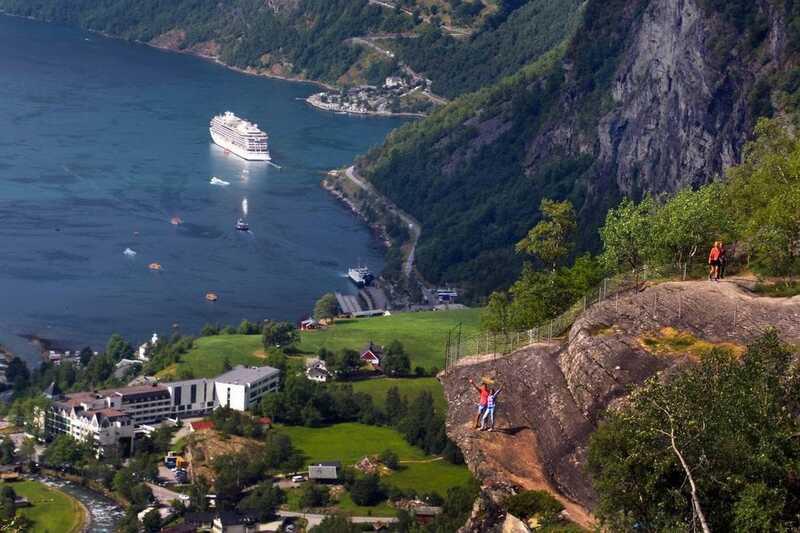 The majestic 935-passenger Viking Sky looks small from the dizzying heights of the road leading to Eagle's Bend, perched 2,000 feet above the quaint fishing village of Geiranger, the ship's next port-of-call. 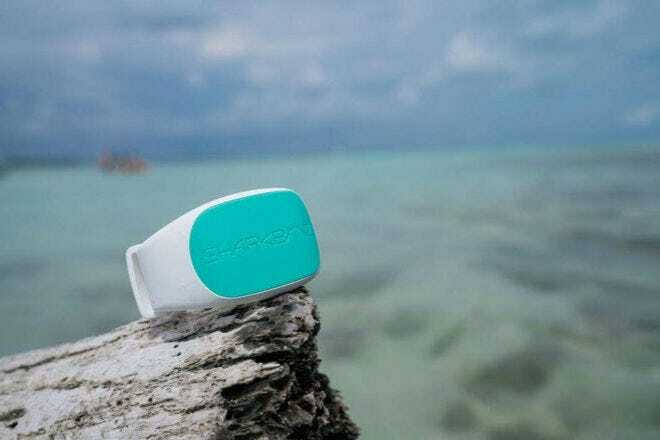 Stroll through the charming fishing village and shop for local products. 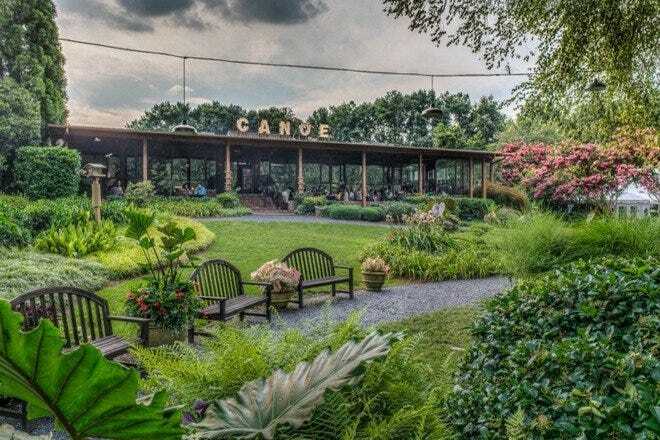 Afterwards, hop on the bus excursion for stunning views down on the valleys and canyons as you make your way to Eagle’s Bend. 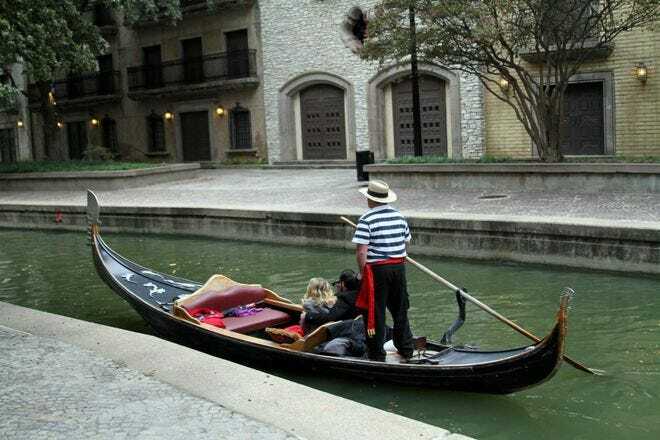 Marked by eleven hairpin turns and unbelievable panoramas, this is a tour experience you will remember for a lifetime. All your onshore activities may work up an appetite, but be assured you are in excellent culinary hands on board the Viking Sky. 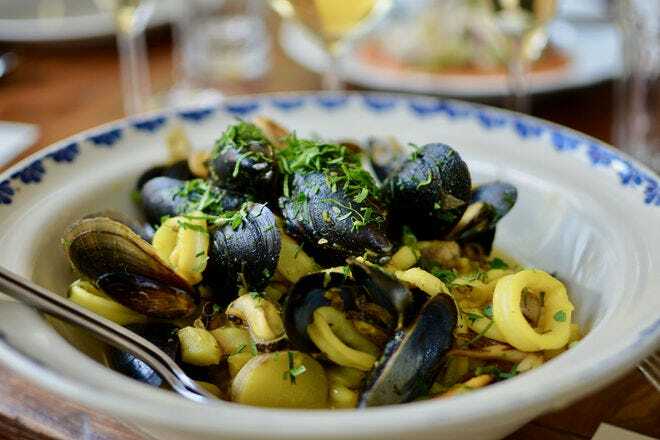 The variety and quality of the ship's cuisine is beyond outstanding, so it's no wonder Viking Ocean Cruises won the 2017 10Best Readers' Choice Award for Best Cruise Ship for Foodies. 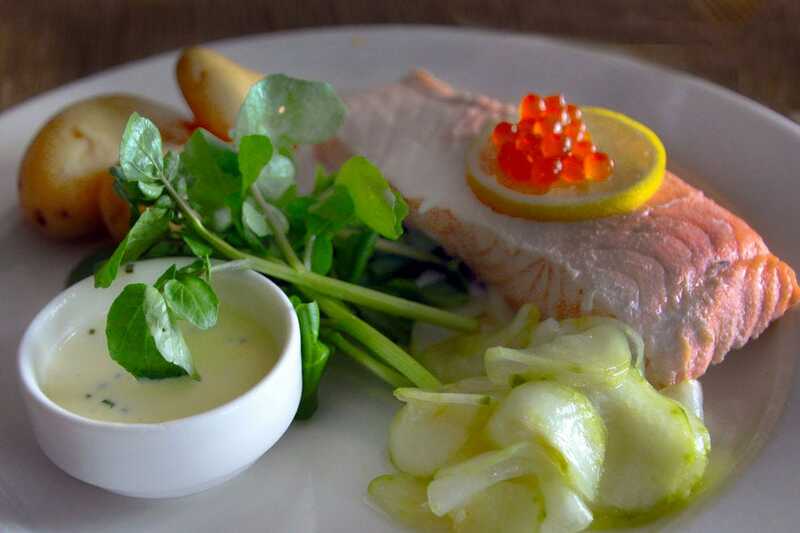 If you are a lover of seafood, you'll especially delight in the local salmon and shellfish served daily, plucked fresh from pristine Norwegian waters – with a flavor that reflects the source. Norway's charming coastal town of Molde is steeped in history that goes back to the Viking era. This history comes alive at the open-air Romsdal Museum, where you can wander through 40 historical buildings that portray the life of the town's residents over the centuries. 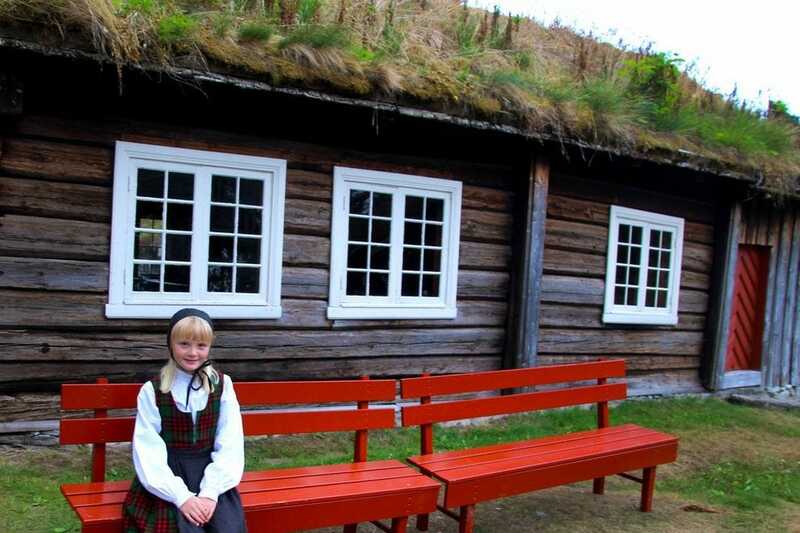 Docents in traditional costumes give details of each home, and children perform regional Norwegian folk dances for visitors. Under the glow of the midnight sun, join fellow passengers on one of several decks as the ship makes its official crossing into the Arctic Circle at 66° 34' North. It's a magical moment, indeed! Relaxing in an infinity pool while gazing on magnificent scenery has to rank right up there as a one-of-a-kind travel experience. 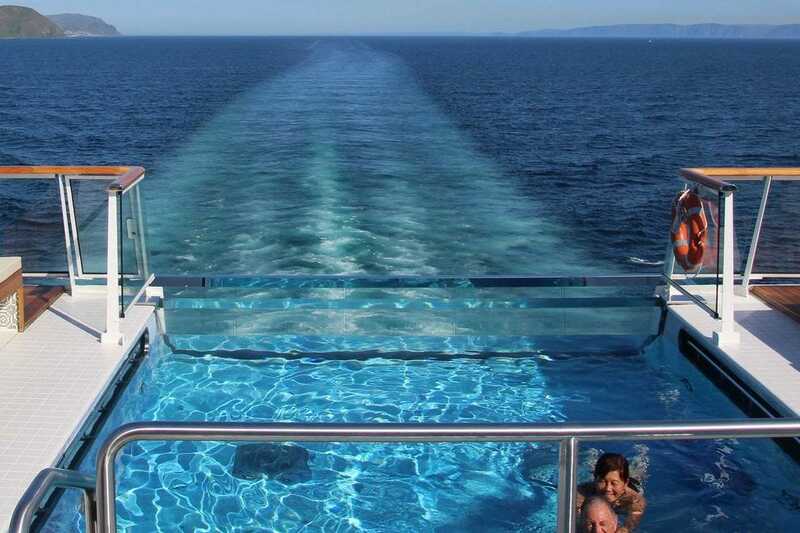 There are several pool options, saunas, hot tubs and spa services onboard, as well as a fitness center, so you can definitely keep in shape as you enjoy your exciting cruise adventure. It's a surreal experience to stand on deck in the wee hours of the morning and photograph a spectacular light show under the midnight sun. 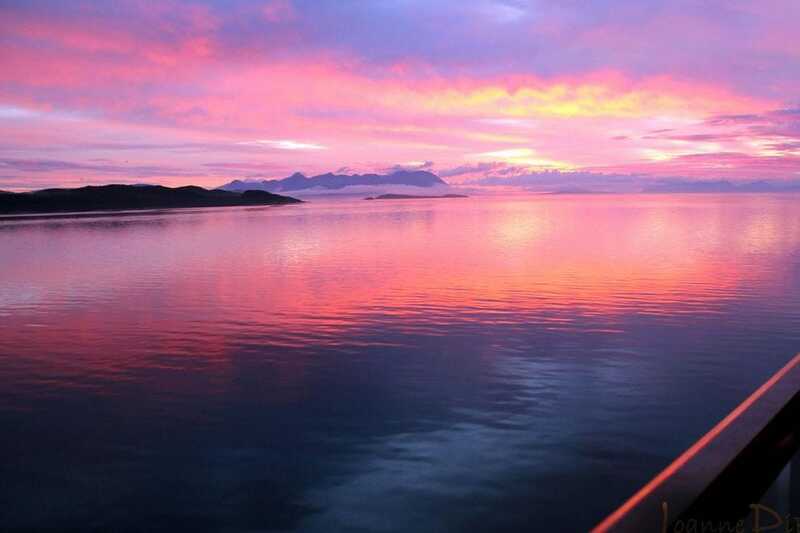 Enjoy 24 hours of brilliant hues as the ship cruises up the Norwegian coast to the town of Tromsø, gateway to the Arctic circle. Talk about being on top of the world! 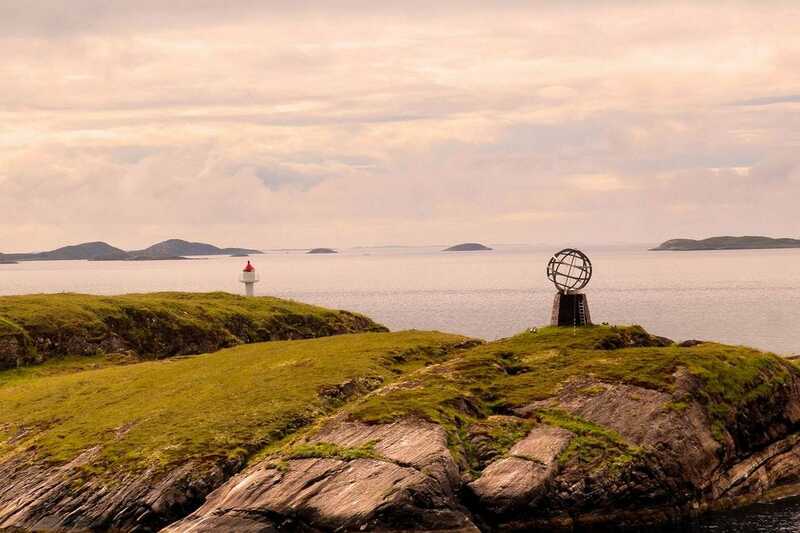 Another breathtaking drive takes you along Europe’s far northern shores to Nordkapp (North Cape), one of Europe's most remote and stunning natural sights. It is the northernmost point in Europe that can be accessed by vehicles. It offers breathtaking views over rugged cliffs from a 1,000-foot plateau. 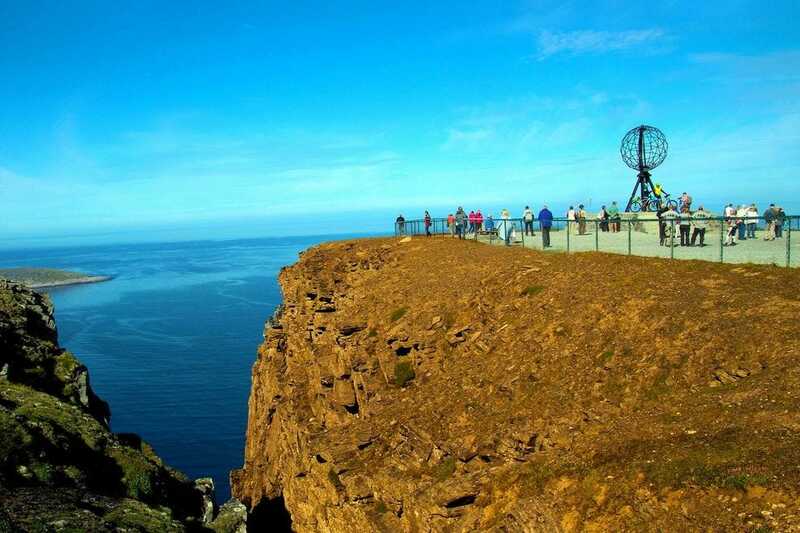 Cruise passengers are encouraged to carry along their binoculars for the bus excursion from the small island town of Honningsvag to the dramatic cliffs of North Cape. Watch for reindeer grazing on the starkly beautiful tundra. The Sami, the indigenous people of the Nordic countries, have traditionally been semi-nomadic reindeer herders. You'll have the opportunity to meet and speak with some Sami people and learn about their rich culture during a stop at a visitors center en route. 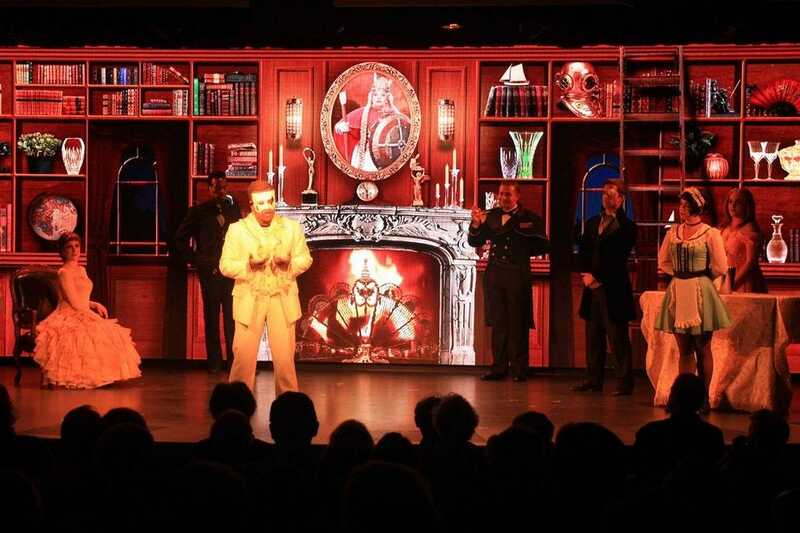 You’ll find entertainment for every taste on the Viking Sky, from classical music to Broadway shows, and everything in between. You can definitely dance the night away in many of the venues onboard, or just relax and listen to jazz in an intimate bar or enjoy a classical music concert in the ship's expansive atrium. 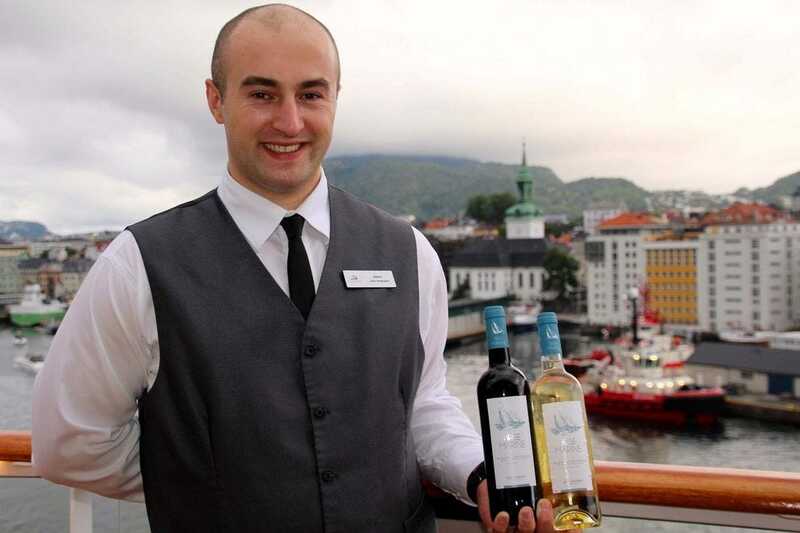 Viking cruise staff are known for genuine, outstanding service to their guests. 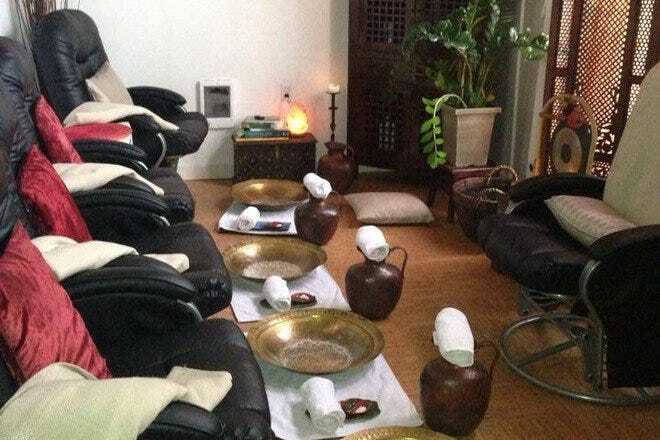 Always with smiles on their faces, the accommodating staff (who hail, incidentally, from 40 different nations around the world) are ready to go above and beyond the call of duty to make your onboard experience a perfect one. Home to breathtaking jagged peaks and a temperate summer climate, the civilization of Norway's Lofoten Islands dates back to the early Viking Age. 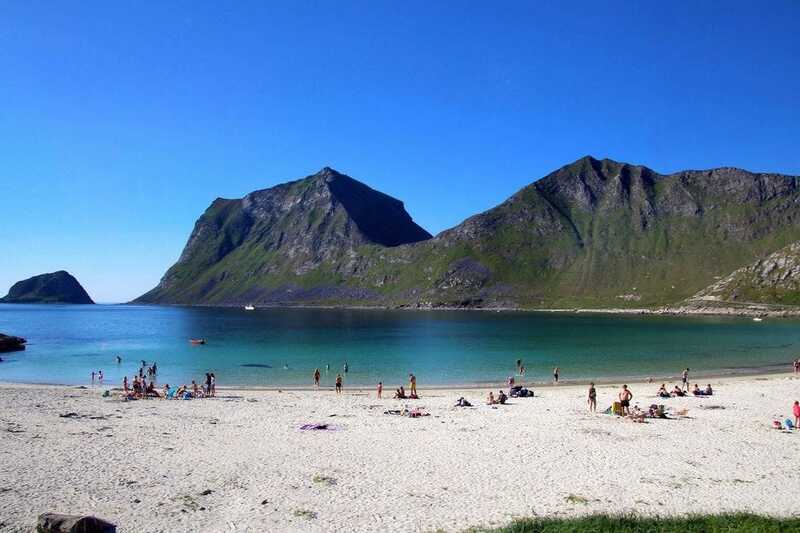 The island's magnificent Uttakleiv Beach is stunning all year round, but on a sunny summer day, it'a the go-to place for locals to catch some rays. 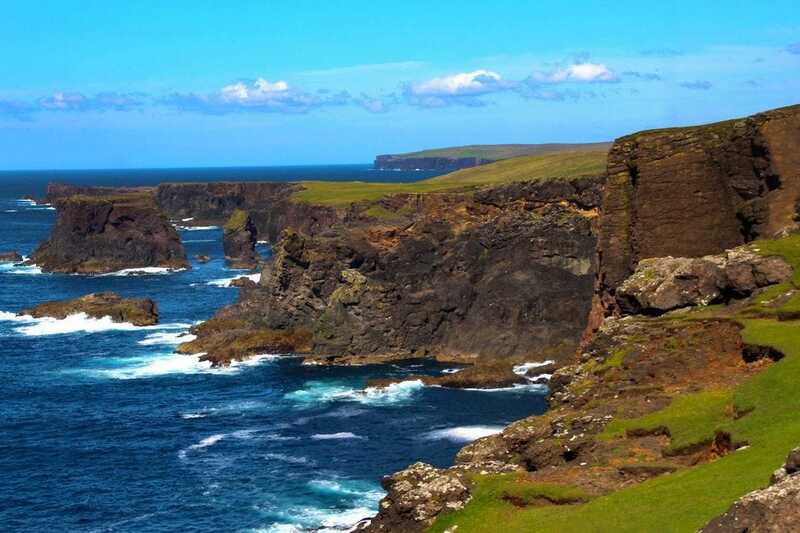 Scotland's Shetland Islands offer several destinations rolled into one splendid locale. 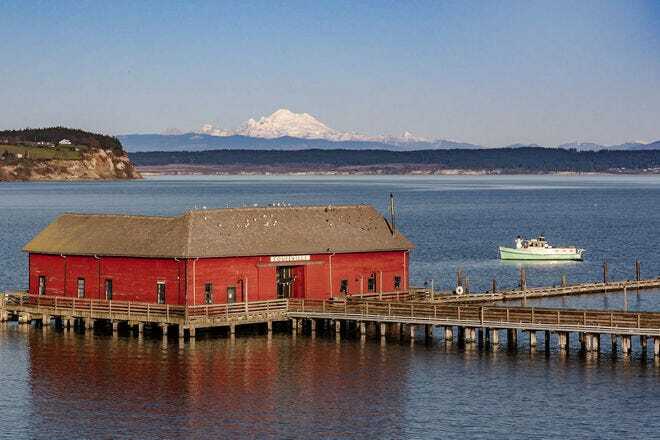 From farmland and dreamy meadows to medieval castles overlooking valleys and lakes, you'll never want for photo opportunities while touring this island. Viking also offers an optional tour of the North Shetland Islands, where heather and moss blanket wispy landscapes and craggy cliffs. Walk along the cliffs of the Eshaness Lighthouse and enjoy some of the most spectacular clifftop scenery in the United Kingdom. 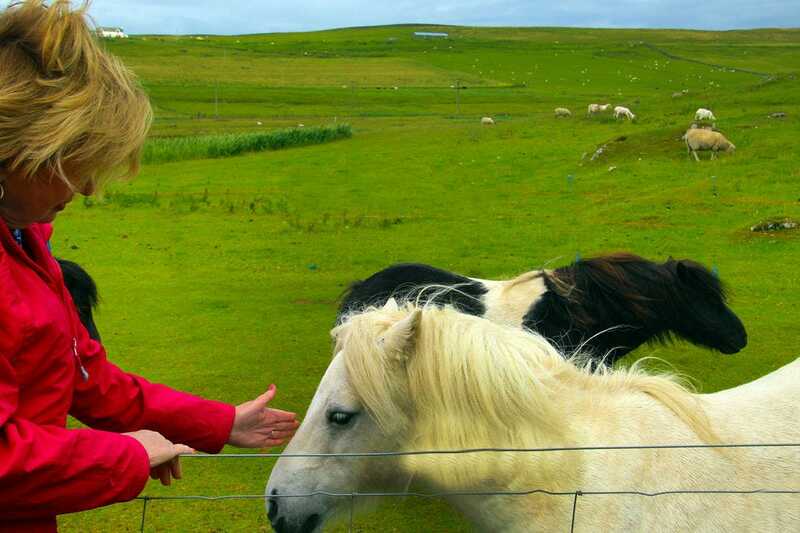 A visit to Scotland's Shetland Islands would not be complete without a personal encounter with the endearing miniature Shetland ponies, which have existed on the islands for over 2,000 years. Various excavations have revealed the bones of small ponies that date as far back as the Bronze Age, indicating that these ponies were most likely used domestically even then. 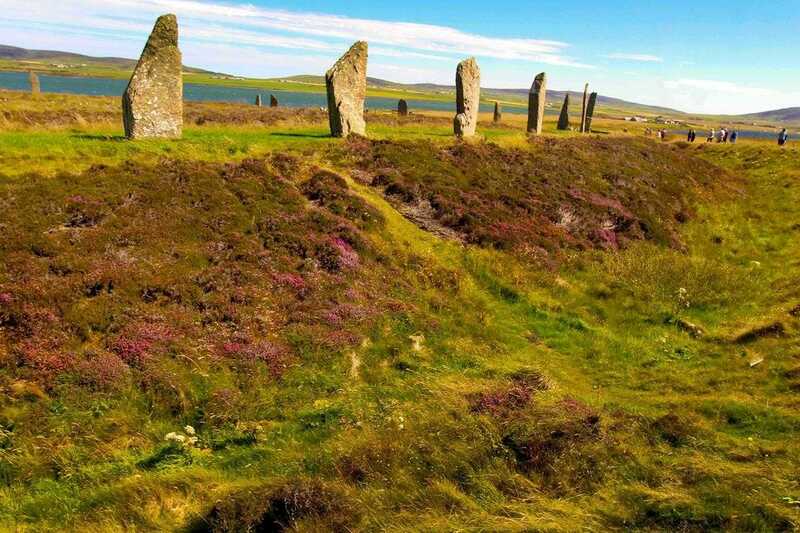 The Neolithic site that comprises the Standing Stones of Stenness and the Ring of Brodgar on the hauntingly beautiful Orkney Islands predates Stonehenge and the pyramids. Architectural digs are still carried on in this area, as scientists are still discovering artifacts from thousands of years ago. No wonder this site is known as the "Scottish Pompeii." Capital of Scotland since the 15th century, Edinburgh enchants the visitor with its breathtaking setting on green rocky hillocks with expansive views out to the sea. 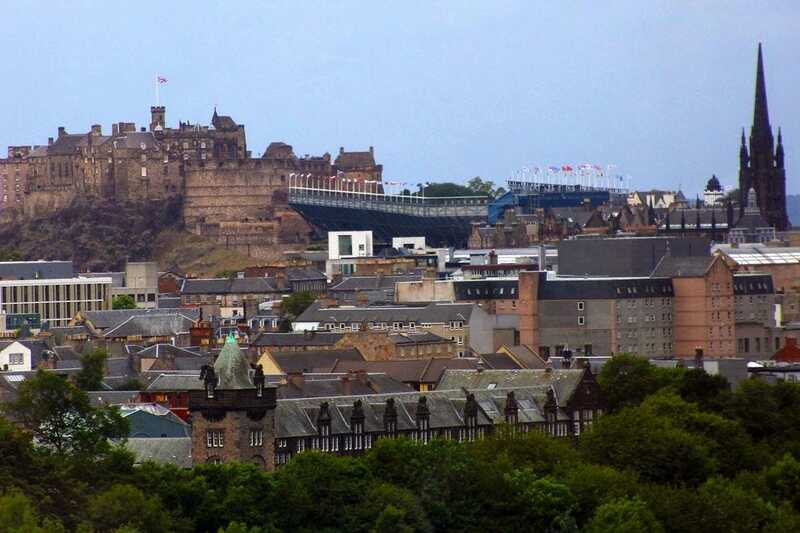 The mighty Edinburgh Castle looms over the city from the craggy volcanic Castle Rock. For a leisurely tour of the city’s architectural gems and colorful shops and pubs, walk the famous Royal Mile, a succession of streets forming the main thoroughfare of Edinburgh's Old Town. 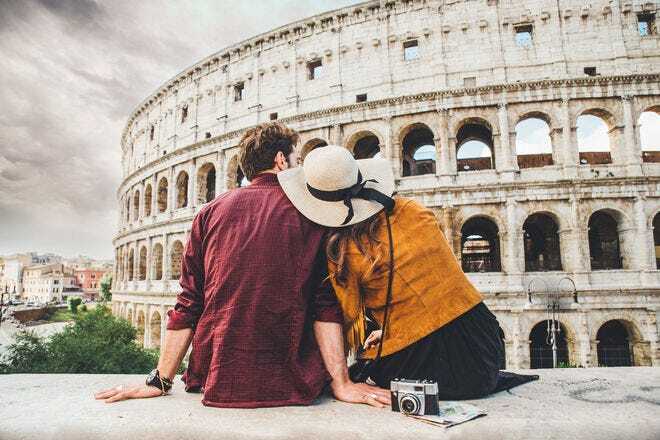 Viking's shore excursions bring you to places beyond the standard itinerary. 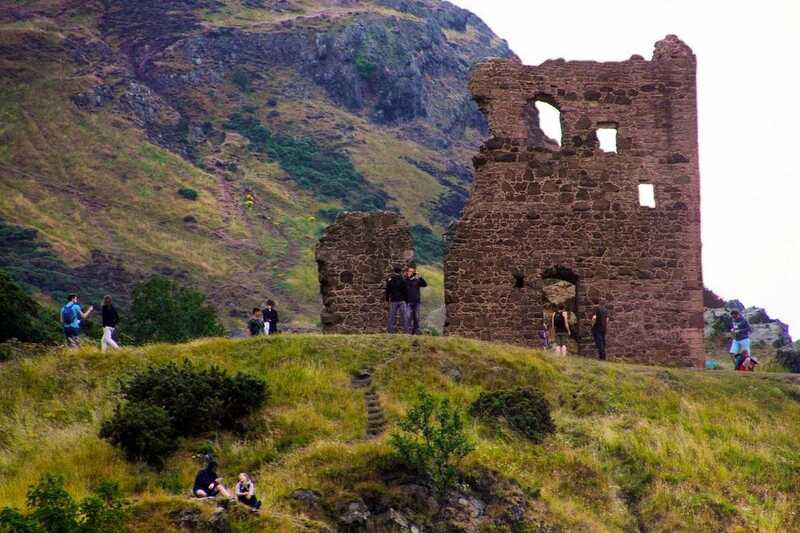 As part of your Edinburgh city tour through Old Town, you'll also have the opportunity to view the lovely Holyrood Park hills that loom above the city. The view on the ruins of the 14th-century St. Anthony's Chapel embodies the romance of old Scotland. A favorite filming location, several scenes in The DaVinci Code and Churchill, as well as in the romantic Outlander series, were shot on location in Edinburgh and its environs. The Viking Sky makes its final dock at Greenwich, which is not only a charming town along the Thames river, but boasts a cherished maritime history. 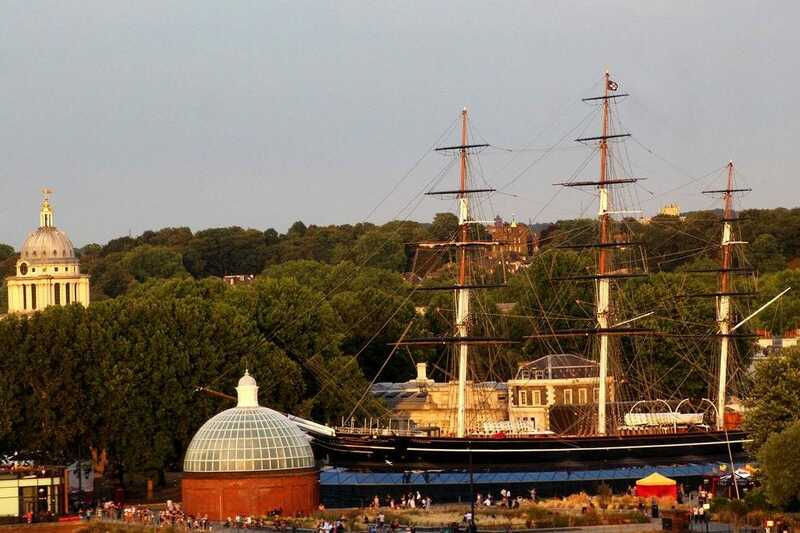 At the port, the clipper ship Cutty Sark, one of Greenwich's most renowned historic landmarks, is preserved as a fascinating museum. A short walk will take you to the Royal Observatory, where the world's longitude is measured from the prime meridian and Greenwich Mean Time sets the global time standard. 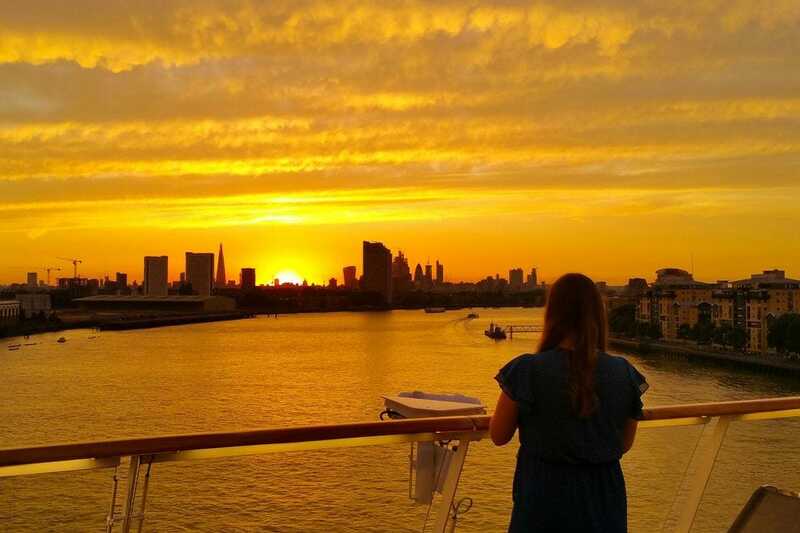 Cruise guests watch the sun set over the London skyline from the upper deck of the Viking Sky, a final goodbye to an unforgettable cruise adventure "Into the Midnight Sun."